The kick-off meeting of DelNAM took place on 4th October 2018, in Ghent, Belgium. The meeting gathered representatives of the three partners of the DelNAM consortium, being I) the Laboratory for Process Engineering, Environment, Biotechnology and Energy (LEPABE) from the Faculty of Engineering of University of Porto (FEUP), Portugal, II) the Laboratory for General Biochemistry and Physical Pharmacy (LGBPP) from Ghent University (UGhent), Belgium, and III) the Nucleic Acid Centre (NAC) from University of Southern Denmark (SDU), Denmark. The meeting was opened by Nuno Azevedo, from FEUP (the Coordinator), introducing the project and setting the DelNAM ‘motto’. 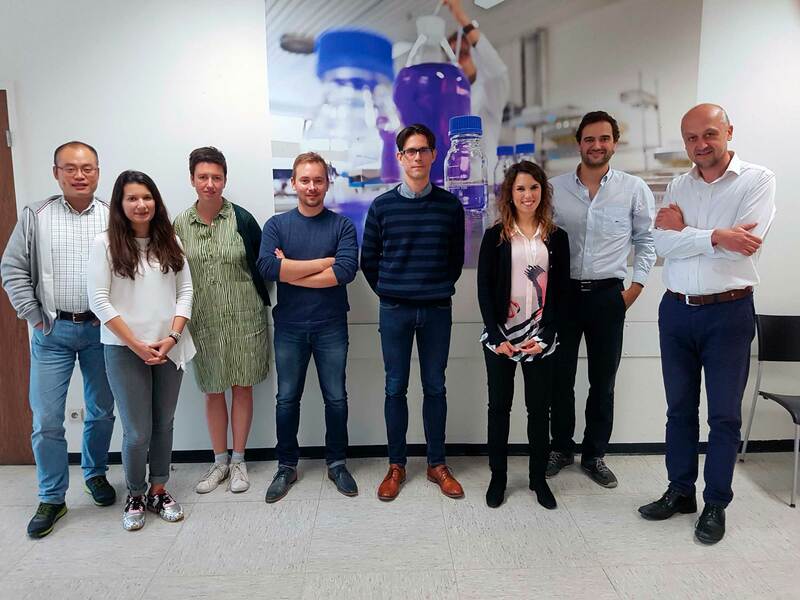 The researchers from the groups led by Stefaan De Smedt, Jesper Wengel, Nuno Azevedo and Maria C. Pereira then presented their main research lines. This aimed to facilitate the identification of complementary strengths and research interests. The Project manager Rita S. Santos (FEUP) presented the workplan of the project and the roles of each partner. She also chaired the discussion regarding the deliverables for the coming months. The afternoon finished with a round-table discussion on opportunities for scientific collaborations, involving staff exchange and new project proposals. This continued over a pleasant networking dinner.